I was a guest speaker at Dagenham Library celebrating ALL WOMEN’S DAY where I read extracts from my books and talked about what inspired me to become an author. 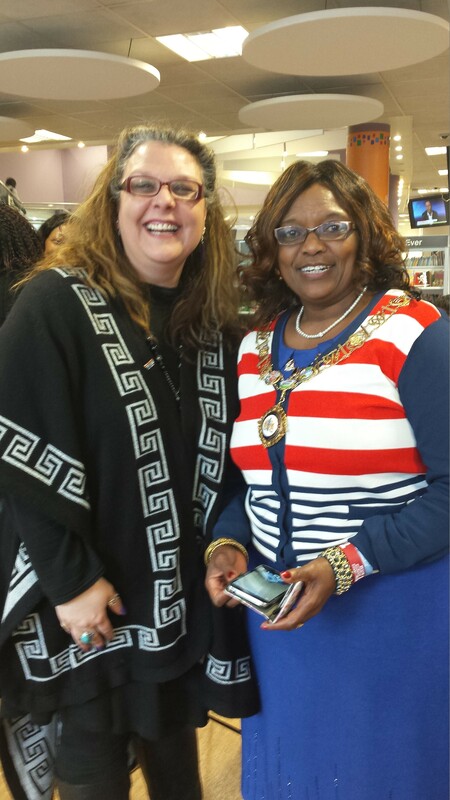 It was a wonderful day with so many astounding women talking about their various enterprises and achievements – in particular the esteemed lady Mayor of Barking and Dagenham herself Elizabeth Kangethe who was interested in ARTY TARDY! What an inspirational lady she is!